It's time for a pizza party!!! 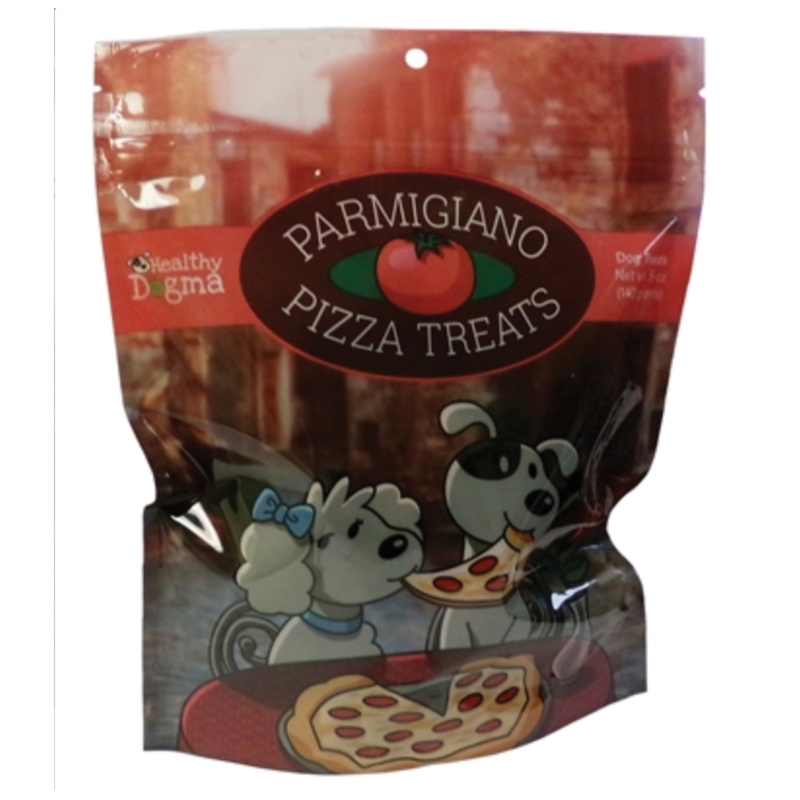 These Parmigiano Pizza Treats are a tasty all-natural treat for your pug! Healthy Dogma products are made with all-natural ingredients and no toxic chemicals or residues. These treats are made in the USA and all ingredients are sourced from the USA. Ingredients include: Barley, Parmesan Cheese, Oats, Peas, Tomato Pomace, Canola Oil, Cranberry, Carrot, Sweet Potato, Celery, Parsley, Lettuce, Water Cress. Each bag has 5 oz of delicious treats!